Come study Ecology (EEB 3407/5407) at the University of Minnesota's Cedar Creek Ecosystem Science Reserve, located only 35 miles north of the Twin Cities campus. Cedar Creek is one of the most famous and influential ecological research sites on Earth. It contains an exceptional diversity of plants and animals, partly because it is at the meeting point of three of the largest biomes in North America: the northern boreal forest, the eastern deciduous forest, and the Great Plains grasslands and savannas. Here you will visit current experiments, including studies that test how biodiversity loss affects ecosystems and whether climate change will speed up or slow down, work with data from ongoing studies, and collaborate with other students to develop your own field ecology group project. 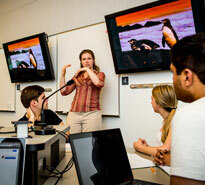 Cedar Creek course credits are transferable to most colleges and universities. We welcome students from around the United States and the world. Instruction is in English. International students will need to work with the International Student and Scholar Services office to identify and obtain the appropriate visa. Students can commute to Cedar Creek each day or live on site in shared housing (cost is $7 per day). Lodging space is limited, however. Please direct requests for lodging to Megan Lauzon (lauzo006@umn.edu). In past years, students who prefer to commute have found it easy to share rides with one another. To help facilitate this, the instructor will contact all registered students prior to the start of the course. Undergraduate students should register for EEB 3407. Graduate students should register for EEB 5407. 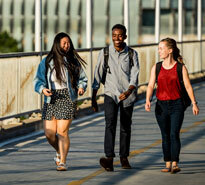 If you are a current University of Minnesota student, you may register online for Summer 2019 courses beginning March 7 in accordance with the registration schedule. If you are not a current UMN student, then please follow the instructions for non-degree students on the One Stop website to register beginning March 14 and send a copy of your transcript (unofficial is acceptable) to the course instructor, Dr. Forest Isbell ( isbell@umn.edu).